These delightful wedges are both sweet and savory due to the combination of sweet potatoes and cinnamon. The cinnamon turned out to be a happy surprise when I took a chance one day and sprinkled some on the wedges just for fun. The result is really delicious and satisfying. Preheat oven to 325 degrees. Line a baking pan with parchment paper and drizzle olive oil over the parchment paper. 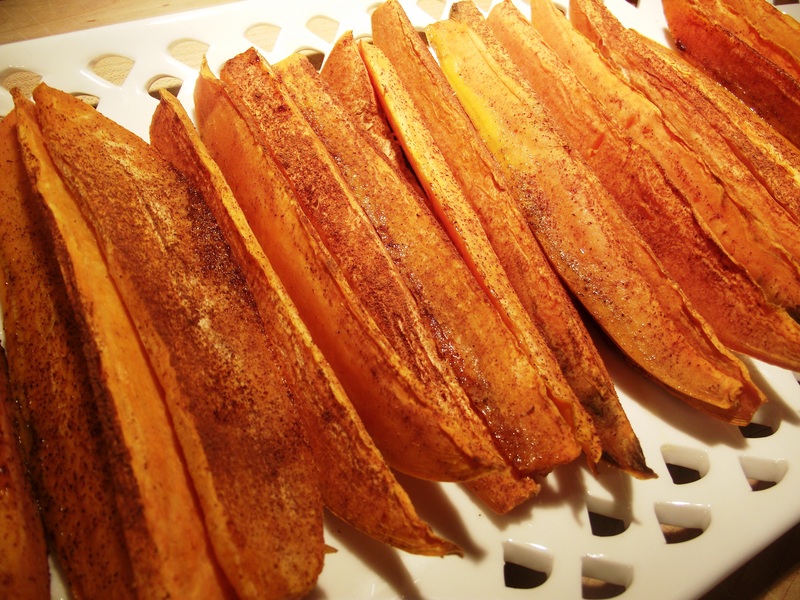 Cut sweet potatoes lengthwise into wedges and lay them in the baking pan. Sprinkle the wedges with cinnamon and sea salt. Bake until they are tender, approximately 30-60 minutes (depending on the thickness of the wedges). Enjoy!